Raising The Bar On Customer Service……..
For over two decades our roofing family has been servicing our customers’ roofing needs throughout California. From the more conventional built-up, torch-applied or sloped roofing systems, to the newest lines of PVC and TPO, emulsion, acrylic or silicone coating systems, we can recommend and install the right system for your building or complex. We have relationships and certifications with all of the major manufacturers in the industry and the expertise to make sure you get the right system for your needs. 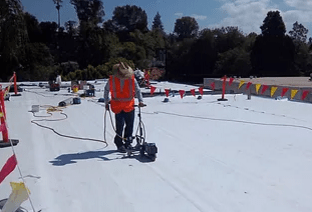 Built-up roofing systems consist of multiple layers of felt installed with moppings of hot asphalt. They can be finished with granulated or Title-24 compliant coated cap sheets, or with gravel surfacing. Warranties of up to 20-years are available, and these systems can be installed over multiple substrates. 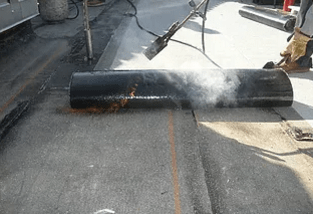 Modified or torch-applied roofing systems have a similar finished look to standard built-up systems, but are installed using the heat of a blow torch rather than hot asphalt for adhesion. 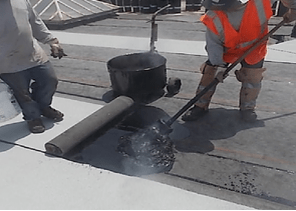 These systems are a great option for buildings with difficult access issues which could make an asphalt roof impossible to install, but are not made to withstand ponding or standing water. Alta has premium insurance coverage which allows us to install these systems, while many roofing contractors cannot. 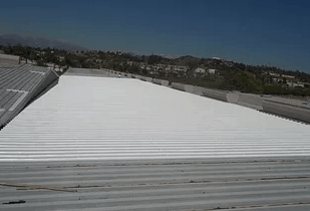 The most common types of single-ply roofing systems are TPO and PVC. These systems are Title-24 compliant, applied without flame or hot asphalt, and can handle ponding or standing water without any negative effect. Warranties of up to 30 years are available. 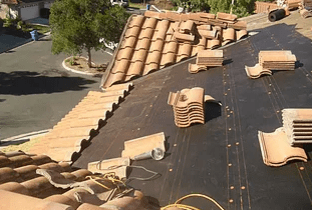 From basic shingle systems to tile, or even natural slate systems, Alta has the skill and experience to install any type of sloped roofing system. For information on the best sloped system get a free estimate! If your flat roof is nearing the end of its useful life span, but hasn’t completely failed, you may be able to get a warranty of up to 20-years by coating it today! From emulsion with acrylic coating, to silicone systems, Alta has the skill and expertise to help lengthen the life of your roof. Most coating systems are classified as maintenance and may be tax deductible in one calendar year. Do you need new roofing?